Sportime ball is used for gym, playground, or classroom activities, and is suitable for catch, dodge ball, hoop games, and more. 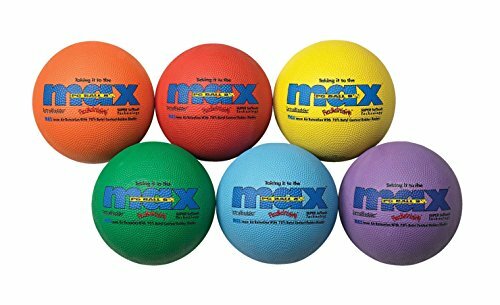 The ball has a hexagonal-textured rubber outer surface for grasp control and durability, and a two-ply 70.0% butyl rubber bladder for maximum air retention. Rubber is highly elastic, and resists abrasion and impact forces. The ball is yellow in color for visual identification, and measures 7.0”/17.78cm in diameter. The product contains latex.